While most of the chatter about the weather the last few days has been about the impending snow headed for the Mid-Atlantic, Northeast and Midwest, the South is prepping for a bout of severe weather today. 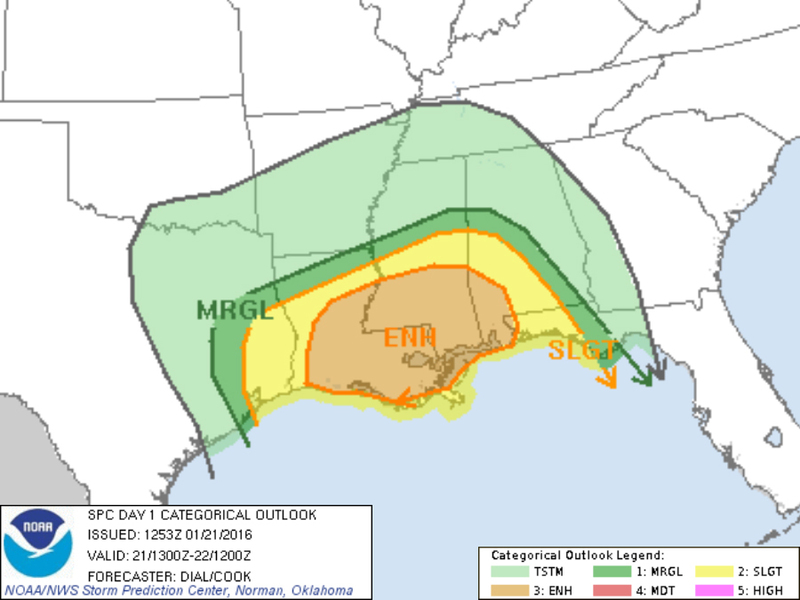 The same low that's bringing a foot or more of snow to parts of the country is also going to bring a chance for tornadoes, strong winds and even hail to Louisiana and parts of Mississippi and Alabama. After moving across the South, this system is expected to head straight for Virginia and Maryland. The Mid-South and parts of the Mid-Atlantic are expecting an icy mess with freezing rain, sleet and a little bit of snow. States like Kentucky, West Virginia, Virginia and Maryland will see mostly snow - and lots of it. 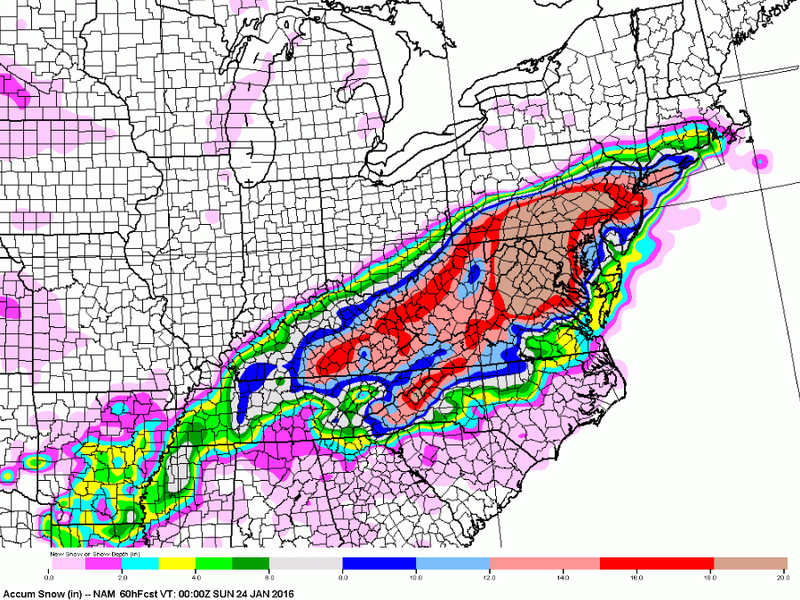 Some forecast models are projecting nearly two feet of snow in parts of Virginia and Maryland, including places close to Washington D.C.
From there, the snow is expected to travel through Philadelphia and New York, going as far north as Boston, but the entire snowstorm is expected to move more into the Atlantic rather than hugging the coast in true Nor'easter fashion. The National Weather Service has issued everything ranging from Winter Weather Advisories and Blizzard Watches to Winter Storm Warnings. Weather apps like Storm Shield can send updates when those watches turn to warnings, and SnowCast can send updates on always-changing snowfall totals. In the meantime, dust off the snow shovel and gas up the snowblower because there isn't an app for that... yet.